‘SURPRISE!!!! Don’t you just love it when someone says that to you ? – Well, most of us do anyway & that’s exactly what Sorbet is going to be doing for all you gym-going, healthy-loving, or just plain fitness crazy folk out there! In partnership with Discovery Vitality, we are proud to announce that Sorbet Group is now an official partner to the new Vitality Active Rewards programme, starting 11 October 2017. Since the launch of Vitality Active Rewards, over 350 000 people are exercising 25% more and getting millions of free coffees, smoothies and popcorn… go Sorbies! There are now bigger and better rewards for you to earn with Vitality Active Rewards. Hit 3 goals in a row to get a goal streak and you could earn a surprise Sorbet reward – be sure to update your Discovery app now and start exploring all the brand new features. Keep achieving your weekly fitness goal to earn rewards including free coffees, smoothies and popcorn from Discovery Vitality’s reward partners KAUAI, Mugg & Bean, Ster-Kinekor and Vida e caffè. 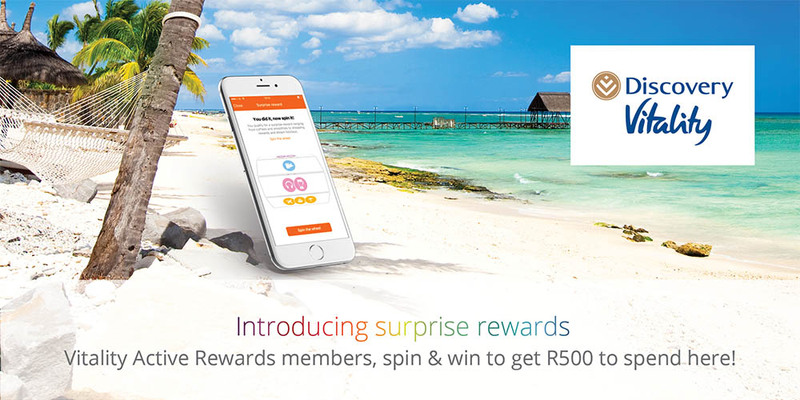 Discovery Vitality have introduced incredible new rewards at every level, ranging from a coffee or a smoothie, to shopping rewards, Sorbet prizes and dream holidays. Team rewards will be replaced with goal streaks and surprise rewards so you can earn bigger and better rewards. New features allow you to track your performance including current goal progress, consecutive goals, fitness days over the month and fitness points earned that month. Activate Vitality Active Rewards for better rewards and better health.